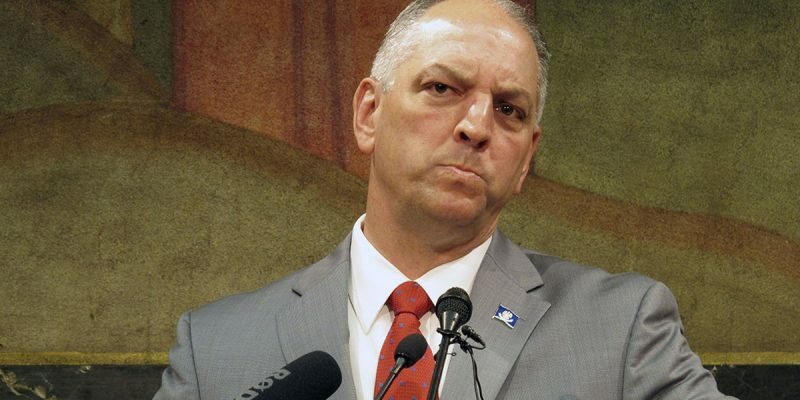 A third-party group has released a video attacking Governor Edwards for a sexist exchange the Governor had with one of the leading women in state politics, state senator Sharon Hewitt, back in January. Pretty soon, Republicans will start lining up to challenge JBE. Obviously the big names being tossed around are Attorney General Jeff Landry, Congressman Ralph Abraham and U.S. Senator John Kennedy. But Hewitt (R-Slidell) has also indicated, to many politicos, that she is seriously considering a run for Governor. Hewitt, a member of the Senate Finance Committee, got into it with the Governor on January 22 at a meeting of the Joint Legislative Committee on the Budget. The Senator told the Governor that she couldn’t figure out how and where the Governor had cut $600 Million out of the General Fund, a number that JBE likes to repeat. “I don’t get the $600 Million dollar cut,” said Hewitt. Edwards, frustrated by a tough question from a smart woman shot back: “I can explain it to you, but I can’t understand it for you”. The Senator replied sharply: “That’s insulting”. Getting into fights with an unpopular Governor (at least amongst Conservatives) is simply good politics. Especially, when the fight causes your possible future opponent to make a demeaning remark on video. Edwards’ approval ratings indicate that overall he’s popular – right now. But history dictates that Louisiana governors don’t stay popular for long, and when they fall they fall hard. Politically it makes sense to challenge Edwards – especially when he’s on the wrong side of the facts. The Democrat Party’s winning coalition has become easy to categorize. Black voters are nearly 100% supporters of Democrat candidates. Governor Edwards dominated that bloc to win in 2015. Latino voters are becoming the darlings of the National Democrat Party. There was a good political reason why Congressional Democrats shut down the government over DACA and we had to endure Leader Pelosi taking eight hours of House mic time Wednesday. Democrats know they need plenty of motivated Hispanic votes if they are going to have a shot at taking back the House of Representatives. But the third important part of the coalition are women. JBE did very well with women in 2015. Senator Vitter certainly had an uphill battle with this demographic, due to past transgressions, and the JBE Campaign team made very good use of a very likable Donna Edwards. The pro-life ad starring the couple will go down as one of the greatest Louisiana game-changing ads of all time. But a sexist “mansplaining” gaffe like this, against a possible female gubernatorial challenger, does nothing to help Edwards grow or even maintain his vital coalition of women. And it may just show pollsters and donors across Louisiana that Sen. Hewitt is the right kind of candidate to bring the Edwards years, at the Governor’s Mansion, to a close.